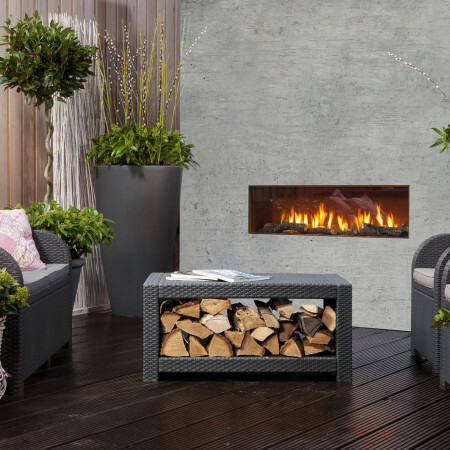 A hole in the wall style, contemporary, outdoor gas fire available for both natural gas or bottled gas. This modern outdoor fireplace is open fronted giving a beautiful view of the flames and is housed in a black steel fire chamber. This outdoor fireplace is simple to install in almost any situation, and is also available as a double sided fireplace where both sides are transparent allowing this fireplace to be installed between two outdoor settings.